Emergencies never wait for a convenient time. Whether it’s something as simple as getting locked out of the house or something more complex, like a broken lock, you don’t always have time to wait for regular business hours and a scheduled appointment. No matter what time your lock and key emergency occurs, Pro-Lock & Safe is here to help. We offer 24-hour locksmith services of all kinds, including professional lock and key services for your home, vehicle, and business or commercial property. Whether you need keyless entry locks installed or you need a broken key extracted from your car’s door lock, we’re here to help. 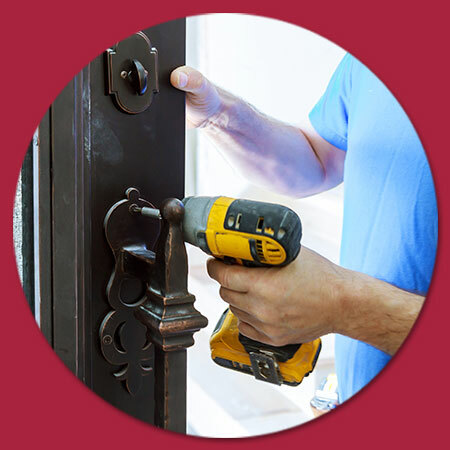 Call us any time for emergency locksmith help across Dover! At Pro-Lock and Safe, we are proud to be there for you when you need a locksmith in Dover. For over three decades we have been serving the people of Delaware and there’s nothing we love more than helping our customers out of a tight spot. We know that you can’t predict when you’re going to be locked out, but we want you to know that you can count on us to get you safely back into your car, home, or business. As Certified Master Locksmiths, we have the tools and the experience necessary to make quick work of any lock that stands in your way. We strive to provide each and every customer with high quality service and we are dedicated to getting it done quickly. When you call us, we’ll give you a timeframe for our arrival and we’ll stick to it. There’s nothing more frustrating than being locked out. Whether you locked your keys in the car or you misplaced the key to your house, we’ll be there to help. From key cutting to door opening, each member of our crew is licensed and insured to do the work that needs to get done so you can get back to your day. If you’d been able to plan for your emergency, it wouldn’t be an emergency. Fortunately for you, regardless of the situation that you find yourself in, our team of locksmiths serves Dover with pride. In our thirty years of experience, we have pretty much seen and done it all when it comes to locks, so if you’re in need, we’re the team you can trust. Are you in need of someone who can get to you quickly and unlock your problem? Look no further. Give us a call today!